The 585-kilogram (1,290-pound) craft took off atop a Falcon 9 rocket from the private US-based SpaceX company of entrepreneur Elon Musk. The trip is scheduled to last seven weeks, with the Beresheet due to touch down on April 11. Jerusalem: An Israeli spacecraft on its maiden mission to the moon has sent its first selfie back to Earth, mission chiefs said on Tuesday. 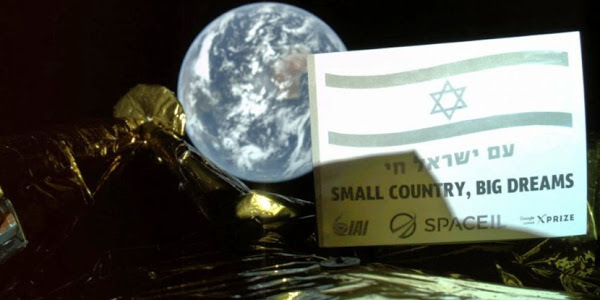 The image showing part of the Beresheet spacecraft with Earth in the background was beamed to mission control in Yehud, Israel — 37,600 kilometres (23,360 miles) away, the project’s lead partners said in a statement. It also carries a “time capsule” loaded with digital files containing a Bible, children’s drawings, Israeli songs, memories of a Holocaust survivor and the blue-and-white Israeli flag.